Whenever you are in doubt with your dress shoes selection, choose some high style oxfords. 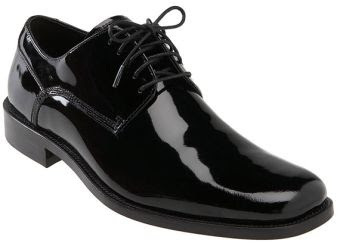 Johnston & Murphy Bickel shoes are made of special processed leather with an ultimate shine look. These oxfords are completely made of leather. The outsole is very flexible and you can wear them even on a dancing contest.